Location: Edinburgh, full details will be provided when class is booked. Maximum of 4 people per group, includes 12 cupcakes to takeaway. If you would be interested in learning how to make Frozen style cupcakes, please email Lizzie for full details of the class. Lizzie from Lizzie’s Tea Party will teach you the secrets of making, baking and decorating gorgeous vanilla cupcakes in a nice intimate group. ● Colouring sugar paste and making gorgeous edible flowers and other sugar craft designs. The format of the classes will be demonstration and interactive participation. You will take home your own creations, recipes used during the day and an a bundle of hints and tips relating to baking and decorating. All ingredients and equipment for the day will be provided. You do not need to bring anything with you! But you will leave with your box of 12 lovely creations to show to your friends and family. Maximum of 4 people per group. Maximum of 4 people per group, doesn’t include lunch, does include 6 cupcakes to takeaway. Dates will follow, please ask if you have a specific date in mind. If you would like to buy someone a gift voucher for a cupcake class please email me and I will then post you out a voucher to present to your friend and they can then organise the date for their class directly with me. 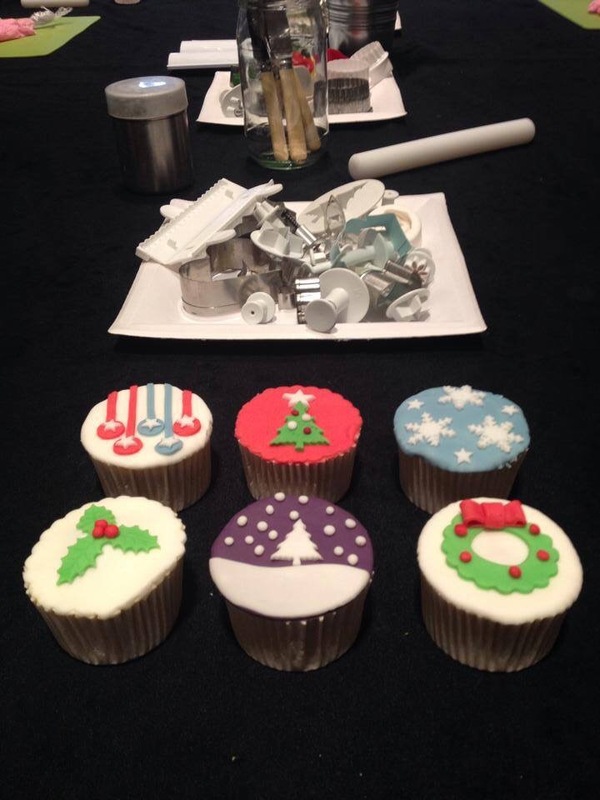 I am also running group decorating classes and childrens baking classes , please email me to find out more. If you have a specific event such as girlie day, hen weekend, birthday where a group of you would like to come and learn together, then please let me know and I will work with you to pick a date. Please check the date that you wish to make the booking as we won’t be able to issue refunds and there will be no cancellations. In the unlikely event that we cancel a class, you will be given either a full refund or the option to book another class of the same price. If you have any questions or would like to book a course date, then please email me.